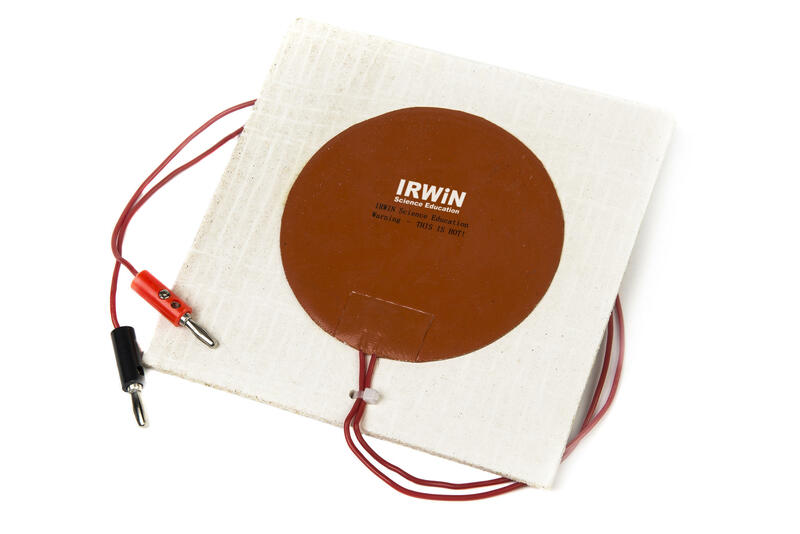 The Irwin low voltage versatile heat pad that allows the user to heat up beakers, conical flasks etc. 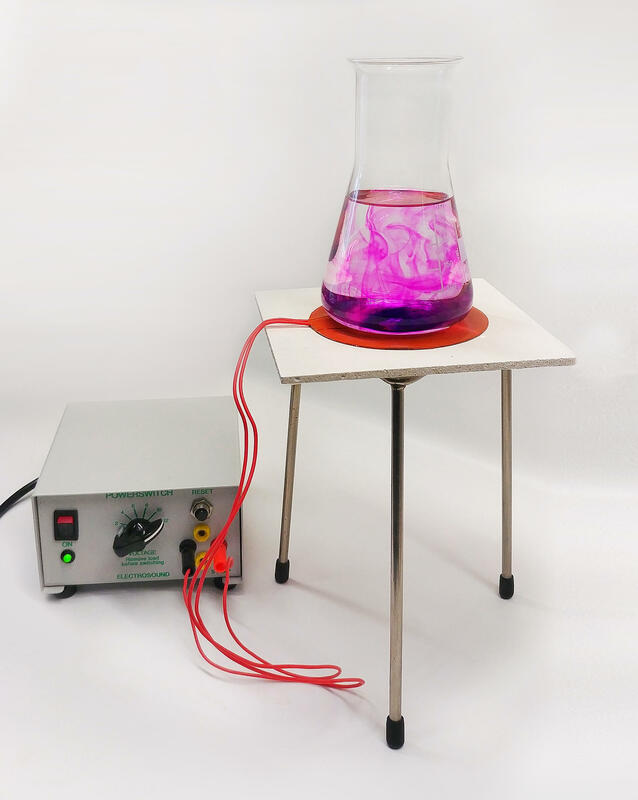 The unit heats up to about 75 degrees Celcius which is great for heating water, boiling alcohol etc. 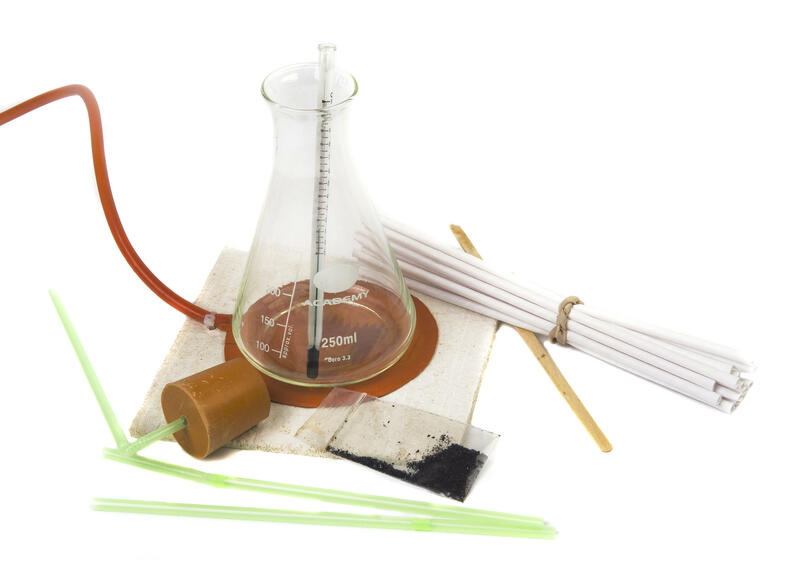 Particularly useful where teaching must be performed in a classroom without a gas supply. The unit is waterproof and splash-proof and so may be used where spillage is possible. Comes complete with leads. 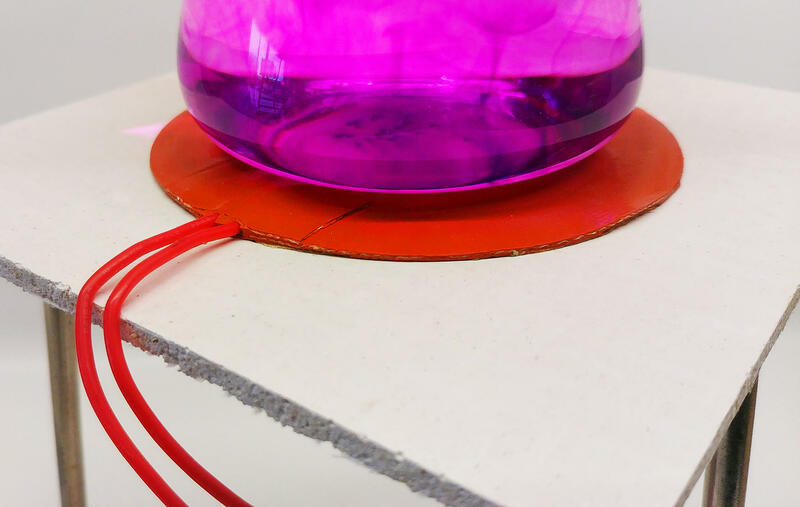 It is supplied bonded to a heatproof mat to protect benches and tables. If the children touch it then reflex action will remove their hand before burning can occur. "Much safer than a Bunsen burner!.." A 5V 12-14A Power supply is required with this item. 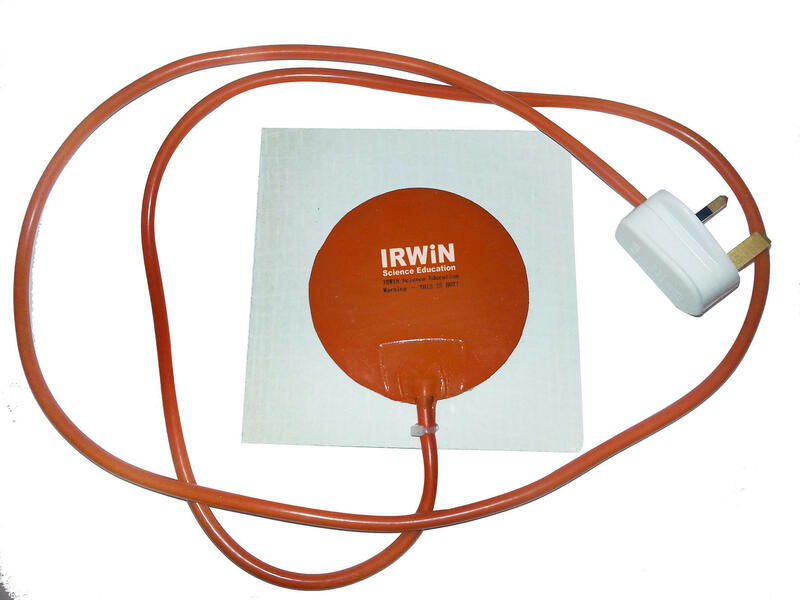 We recommend our Powerlock or Powerbase S10 to power the heat pad.